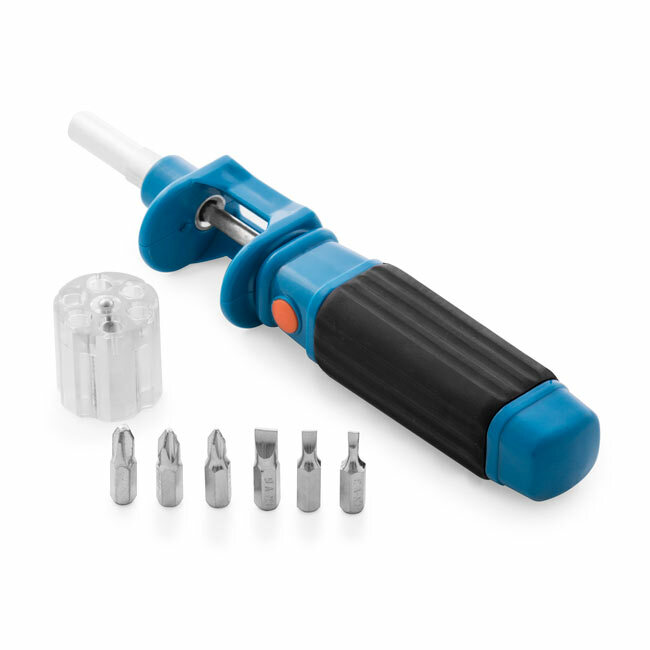 Screwdriver with rotatory cartridge. Contents: 1 Screwdriver, 3 Phillips heads, 3 Slotted heads. Instructions: Spread out Screwdriver by pulling the heads dispenser. Spin the wheel to select the head you need, then contract Screwdriver. To change the heads of the dispenser, remove the screwdriver and pull the dispenser.